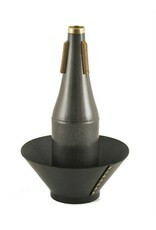 Soulo Cup Mute for tenor trombone offers the best of both worlds - adjustable fiber mute with the classic cup sound! Unlike the old school cup mutes, which sound amazing, but struggle with the pitch, Soulo Trombone Cup is perfectly in tune in all registers with no 'squirelly' notes. Its light, specially formulated composite material allows for minimal back-pressure. Soulo Cup Mute for trombone is considerably lighter (only 6.6oz) than other metal adjustable cups weighing 8.3oz or more. It is perfect for performance and sound recordings, as it will never fall out the bell, due to its light weight and unique neoprene composite corks. 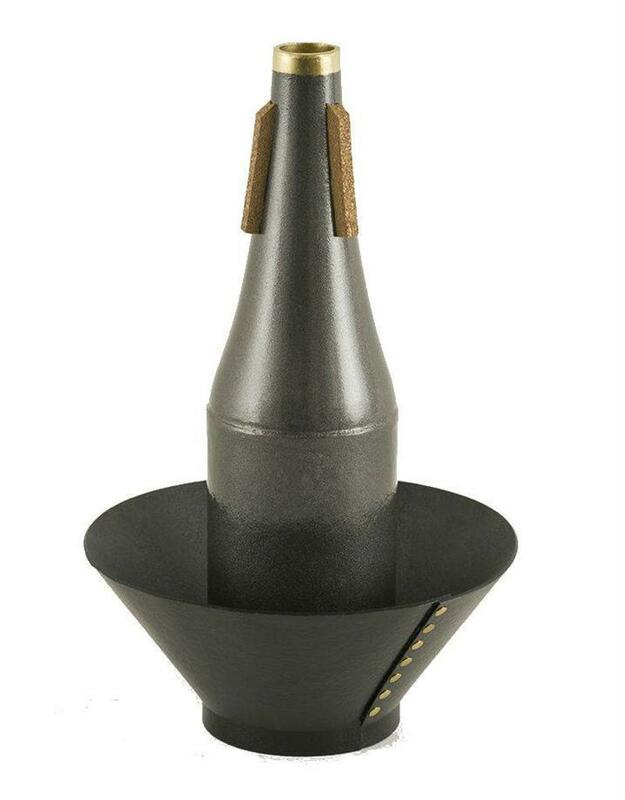 This adjustable cup makes for a great straight mute in a pinch, when completely removing the cup part. The adjustable settings allow the trombone player to blend perfectly in a section comprised of different brands of cup mutes. Soulo Adjustable Cup Mute is endorsed by US and international trombone icons like Tom Bones Malone and many more. Made in the USA.